AdWords is an online advertising service from Google that places advertising copy alongside their search results. If you’ve ever wondered how it is Google makes their money, AdWords is a big part of that. With AdWords, businesses are able to extend their reach beyond current customers, to potential customers looking for related products and services online. The ads themselves take the form of a short run of text, including a title line and two short descriptive lines. That can make it quite a challenge for businesses that don’t have a good brand concept, or are unable to reduce their product to a few sentences. However, if you can do that, there’s no doubting that AdWords can have a strong impact on the success of your business online. Now, you may wonder, if AdWords just places text next to a search result that’s already there, what is the advantage? To put it simply, it’s the fact that a click through from an AdWord listing is a click through looking to make a purchase, where as a click through from a search result is just as likely, if not more, to be looking for information rather than a purchase. It should go without saying that if people aren’t looking for your product on search engines, then it’s not worth investing time into an AdWords campaign. The good news is, there’s very little that isn’t being searched for on the internet these days, so you’ll probably be fine. Just to be on the safe side however, confirm for yourself that there is demand for your product online- this research will also serve the purpose of helping you identify who your main competitors are (not only for business, but also for keywords). Another thing that goes without saying is that good adverts are miles better than bad ones. Not just because they attract more customers (though that should be enough for you), but because they actually make you more money. If you create an ad with a high click through rate, then this raises your AdWords Quality Score. In turn, this reduces the cost per click (CPC) of your keywords. To put it simply, the more people who’re clicking on your ads, the less money you have to pay for them in the first place, whereas a low quality score on your ad will see you paying more. So there’s really no reason at all for you not to put some serious work into producing quality ads for your AdWords campaign. Your conversion rate is how many clicks actually net you a sale. So if you have 2000 people visit your site and 40 buy something from you, then you’ve got a 2% conversion rate. Getting your conversion rate wrong can lead to your losing money down the line, so don’t pump up the numbers for vanity’s sake. You should be researching not just the keywords for your business, but also the keywords for your competitors. Find out which ones are working, which keywords are consistently useful and which ones are up and coming at the moment. As well as identifying which of their keywords are doing well, you also want to try and identify areas and keywords that are not being used by your competitors that you can exploit. Your research should also extend to your customers. Talk to them; find out what they like about your business, and what they don’t. Even better, ask what first attracted them to your business. You want to have a cohesive tone of voice and set of values that your customers are constantly experiencing. The stronger your brand, the more powerful your ads. This is after all a marketing campaign. It’s not enough to just say in your ad that your business is great. Offer the reader something. If you Google a product right now and look at the advert you’ll see that they’re all making some kind of offer or promise: ‘LOSE WEIGHT IN A MONTH’, ‘50% OFF’, ‘SUMMER SALE’. All these are designed to grab attention and draw a click out of the interested party. Make the offer valuable, or promise value, but keep it believable. Most of all, make it feel like a no brainer, your copy should make the reader feel like they would be foolish to pass on your offer. You need to know the conversion (success) rate for the landing page of your site. If people are leaving that page, or having to navigate to another one to get what they want, you should change that landing page. A good AdWords campaign is constantly shifting and changing to better suit the market. Always be looking to optimise your ad, either by raising your bid, changing your keyword or honing your landing pages and copy. Never stop improving. 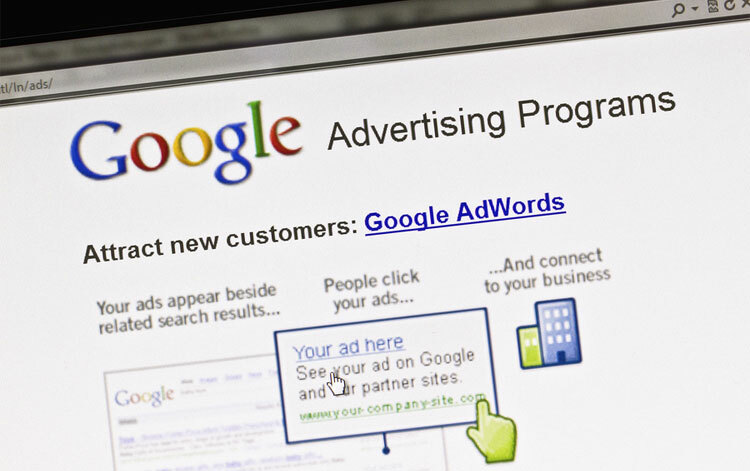 These are just some tips to get you started on a good AdWords campaign. Once you’ve done that and are established, the best thing you can do is keep improving. These tips serve as a guideline to return to if you ever find yourself in doubt, but you should also feel free to try new and different things. One of the best thing about AdWords is you can run multiple campaigns, so you can try out different techniques and settle on the best while discarding the worst. If you make any discoveries along the way, please feel free to share them with us on Twitter or here on our blog. Until then though, happy marketing!